Appreciation, Updates and Mandela’s Legacy | It's Up 2 Us! Nelson Mandela’s African name –Rolihlahla – means the one who shakes the tree, the one who unsettles the status quo. 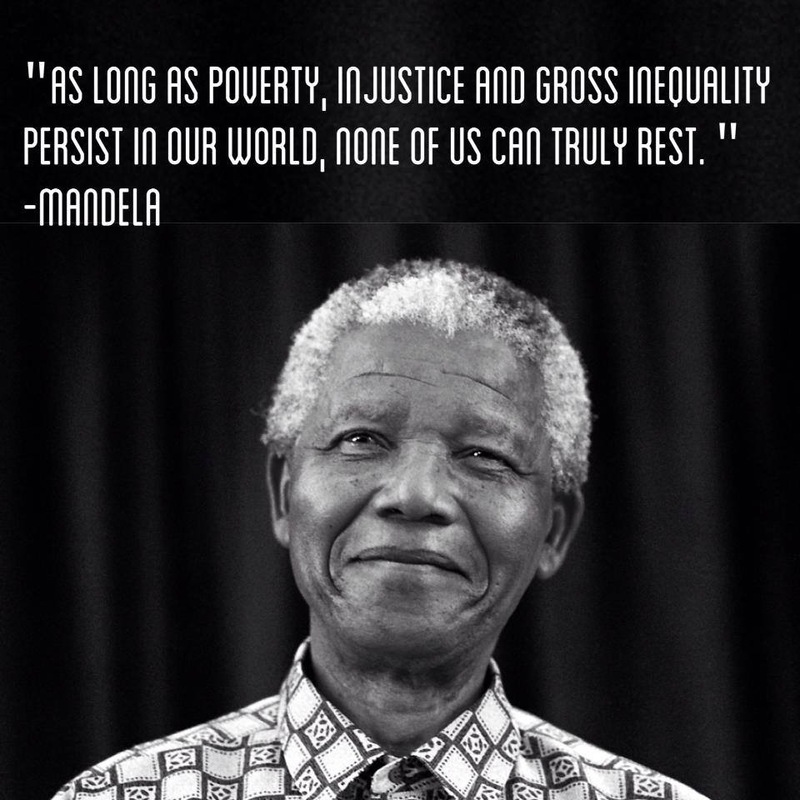 Today around the world we mourn the passing of one of the most significant Leaders of our contemporary times. We acknowledge the legacy of resistance and dignity, the struggle to free his people and all people of oppression. And we acknowledge the thousands of women and men, youth and children who worked along side Mandela to bring about the end of Apartheid and the ongoing struggle for freedom and justice who’s names we may never know and whose passing may not create the same public sentiment – but who without them Mandela could not have been who he was and achieved what he did. In Perth on this past Saturday approx 30 of us sat in a room in West Leederville for our first Nonviolent Direct Action Training. This was another step in ensuring the climate movement here in WA has the strength, knowledge and capacity to nonviolently resist the expansion of fossil fuels. I do not use the word nonviolence lightly, as we explored at the weekend nonviolence is an entire discipline and way of being. It is a form of communication and action which as Mandela’s name suggests ‘shakes the tree’. We’ll be leading more training in NVDA in coming months – send me an email if you wish to be on the waitlist. This training was led in partnership with trainings around Australia and as a part of the launch of Summer Heat, the Summer campaign spearheaded by 350.org and working in partnership with any groups, individuals or communities who wish to step is up this Summer. The campaign was launched officially in Canberra with images of individuals and their pledges to stand up to the fossil fuel industry being projected onto the Australian Minerals Council Building. You can see the campaign launch video here and pledge to join Summer heat here. It was also launched simultaneously here in Perth at the State Library during an event with Sustainable Energy Now where we screened the Do the Math Movie and discussed Divestment and the necessity to leave at least 80% of our known reserves in the ground (more on this in a moment). SEN have been doing fantastic work to create the plans and grounding for our transition to 100% renewable here on the South West grid by 2029. We have the plans, we have the technology and financially whilst there’s a larger up front cost, over time is makes absolute economic sense to go 100% renewable. Check out their webiste for more info about these plans and their work. This post is to express my gratitude for your contribution to this work and to share what I and others have been up to this past month or so. Again I’ll share a few activities and general themes of the work – however if you wish to have more details, be involved further or ask questions feel free to call me on 0406 722066 or send me an email. You can also follow my blog for semi regular updates and to comment on the campaign. During the last 5 weeks I’ve participated in events which have reached almost 700 people, along with the National Day of Climate Action where approx 60,000 filled the streets to demand more action on Climate and to remind the current Govt that they have no mandate to repeal our Clean Energy Legislation. It’s been inspiring and heart warming to see rooms full of people wanting to address this issue and for people to be courageously rearranging their lives so as to be a part of the community resistance. We’ve led numerous events exploring Divestment including an event tonight which will happen at Guidlford Town Hall. I’ve been lucky enough to be involved and at times facilitate conversations about Climate Change and it’s solutions with Politicians, Activists, Business Leaders, Aboriginal Leaders, Church Leaders, Academics and Climate Campaigners. It’s been a full and inspiring month and I firmly believe that collectively we’re making progress. Much of our messaging has been using the language of Bill McKibben et al’s work and the work of Carbon Tracker regarding a Carbon Budget. Within that work there are 3 numbers we need to take note of. Internationally Political and Diplomatic leaders agreed in 2009 to do everything necessary to limit Global Warming to 2 degrees. To provide us with a ‘good chance’ of remaining below 2 Degrees we can afford to burn no more than 565 Gigatons of Carbon. And that as of almost 2 years ago, proven coal, gas (conventional and unconventional) and oil reserves were 2795 Gigatons. For as long as I’ve been using this work I’ve known there were a number of Caveats. These figures didn’t include Carbon released from deforestation or other forms of GHG release, since that data has been gathered the fossil fuel companies have continued at incredible cost to continue to search for further hydro carbons and providing a ‘good chance’ never fills me with much glee. But the most important Caveat is related to the number of 2 degrees. During the Copenhagen discussions when 2 degrees was agreed many island nations and Developing nations were calling on a limit of 1 degree. With .8 degree’s change since pre-industrial times we already see a dramatic shift in climate with permanent consequences that millions of people and species are needing to adapt to. Hansen and others are calling for us to do what’s necessary to limit warming to less than 1 degree. Some fine folk connected with our 350 community did some quick maths and worked out that that changes the budget to 477.1 GtCO2. Whilst this increases the urgency of our work, the conclusions are similar – current efforts are no where near enough, our Government is being highly irresponsible in repealing any Clean Energy Legislation and Carbon Price mechanisms and the fossil fuel industry and their lobbyists must be stopped from cooking the planet. What is quite disheartening is that scientists at the latest UNFCCC talks in Warsaw began telling those present to start preparing for a 4 degree world. Recently the Sydney Morning Herald published a piece reflecting on Ross Garnaut’s work also pointing in this direction. A final story for today comes from the BHP AGM a couple of weeks ago here in Perth. Along with some other fine folk a number of us took our first forays into Shareholder activism and attended the AGM to ask tricksy questions of Chairman Jac Nasser and the Board. Ian Dunlop, a previous Shell Executive with 40 years experience and a history of Climate Modelling before Climate was on anyone’s agenda was standing for the Board of the biggest tax paying company in Australia. In the AGM we asked a series of questions about the Board’s position on Climate Change, exposing their spin and putting them under significant media pressure. Within an hour of the AGM beginning it was being reported as a ‘Climate Change AGM’ and within a few minutes of completion we had over 90 media stories around the world. Whilst Ian’s bid was unsuccessful we certainly had an impact and challenged the status quo. It was a full on day, the meeting itself lasted for 4 hours and much preparation was involved however those of us asking questions are clear that this was not the last time we’d be taking these questions to fossil fuel execs and we are eagerly anticipating upcoming AGM’s. So now we look forward. There are numerous events in the pipeline (including our ANZ bankswitch on the 14th December), Direct Actions are being planned and we need to continue to train and mobilise our Climate Movement. What is clear if is that having dedicated people in this area is necessary. Thank you for what you have made possible. With current funding I’ll be able to continue this work through to the end of January. We’re a way off our target of $25,000 for a years funding. If you see any way of promoting this work through your networks please do. Donations can be made here. So for now, thank you and as we now know – It’s up to us. So go out there and shake the tree, unsettle the status quo and may we do what’s required for our children, our grandchildren and all species.